There is a lot in the Bible to be said when it comes to carrying a baby and raising children, so do your best to pick out the more relevant verses and explain how they apply to the mama-to-be. It was as if this Psalm was on loop in my dreams all night long. So why did I specifically receive this Psalm in my dream? I thought about it for a moment, and then it became obvious. I got chills. Life, no matter how we know it, is a total miracle. We are God’s creation and he knew us before anyone else. Even this baby that God has chosen Grace to carry and bring earthside; this is a creation of God, a gift, a new life that he felt so confident that she would be perfect for the role of a mother. And that she will. We all know it. It is a blessing that we all get to be here with her today to celebrate the impending arrival of Everly, a miracle, a child of God. “It is with great pride that I stand here today, giving a devotional for Grace’s baby shower. I’m sure you would all agree that Grace has every quality it takes to be a great mother: Love, patience, understanding, compassion, a strong Christian faith. She is strong, independent, and morally correct in every way! It’s truly no wonder why she is receiving such a blessing; the blessing that is bringing us all together today, the gift of a child. Now, this is a very powerful verse when you stop and think about it. We are all children of God; he is our Father, our creator, and the very first to love us unconditionally. Before we are even born unto the world, we are destined to be children of God, to spread His love and His word. But God leaves an even bigger job up to the parents, putting faith into them that they will follow in His faith, and teach the word of God to the little one he formed in the womb. I may not love speaking in public, but I know I can rely on Him and He’ll guide my words. Today is a celebration of the new life that Grace and Ben are bringing into the world. 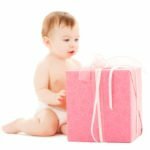 There will be so many joyous moments for all of us to share with them as they bring this precious little into our lives. But anyone who’s ever had a child knows that those wonderful moments can also bring tiring, painful, and just plain frustrating moments. 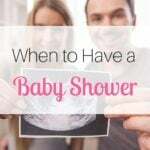 The backaches of pregnancy, the pains of labor, and the fatigue of sleepness nights with a newborn will seem endless. Ask for help from your husband, your family, your friends, and most importantly, our Heavenly Father. His love will strengthen you to get through the good moments, and the not-as-good moments! Just remember, no matter what you’re dealing with, God is always with you, helping you through it! I’m so excited to meet little Everly and can’t wait to see what wonderful plans God has in store for her! Best wishes for a happy and healthy delivery for the Mama-to-be! 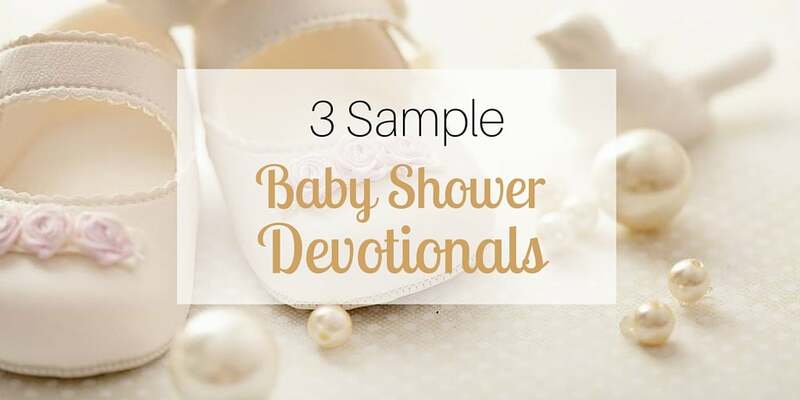 A baby shower devotional may not be the easiest thing to write, but if you write it with the guidance of God, He’ll be sure you say everything that needs to be passed along in the message. Just let His light shine through!